This was not my first visit to New York City, but it was my first visit to New York during the summer. Prior to this trip, I had only visited in the autumn, or during the dead of winter. NYC in summer is a completely different beast: hot and crowded and overwhelming. I was there to visit friends who live in Queens, but they were kind enough to take me into Manhattan to do a little exploring. One of my friends works in the financial district, and I followed him around like a lost puppy, gaping at the shiny glass skyscrapers and all of the people scurrying about in crisp business suits. She’s there. I promise you she’s there. There are times when I simply have to accept being a complete tourist. Anytime I visit New York is one of them. The city towers over me, and I feel a sort of small I don’t think I would ever get used to. But there is no denying New York is an amazing place to visit, and I look forward to living near it in the future. 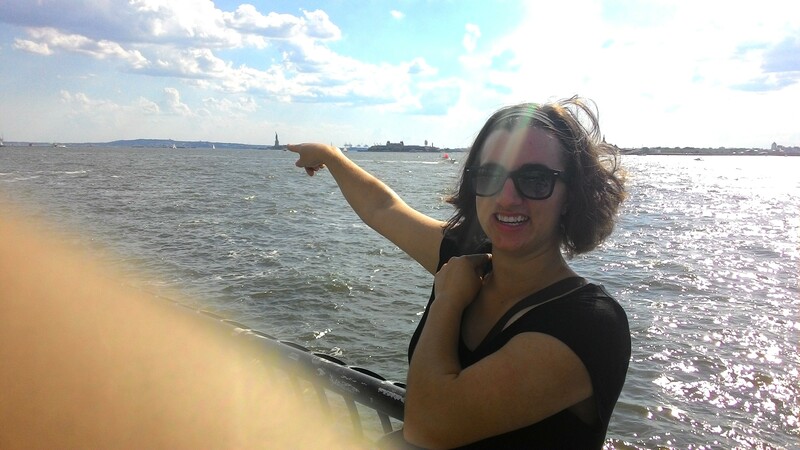 On this visit, I was finally able to see the Statue of Liberty for the first time in my life, albeit from quite some distance. 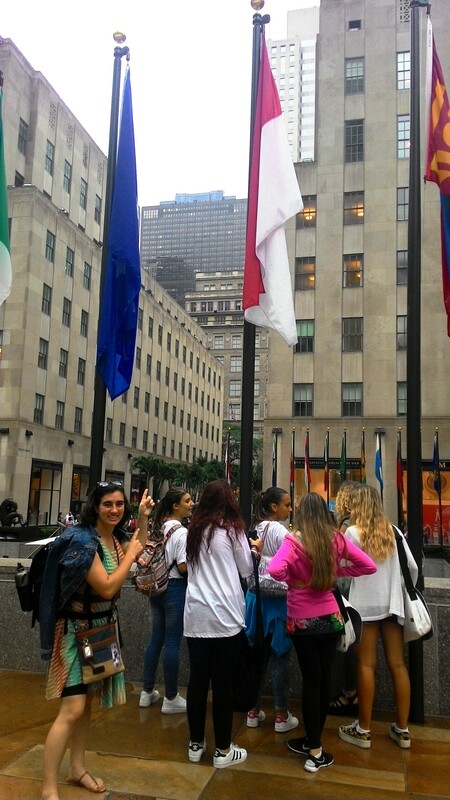 We also made a stop at the Rockefeller Center, at which I overenthusiastically had my picture taken at the Indonesian flag, much to the bemusement of the other tourists around me. I also finally accomplished a life-long dream, and visited the Metropolitan Museum of Art. The Met has one copy of my favorite Van Gogh paintings, “Wheat Field with Sunflowers,” and I foolishly did a little dance when I finally found it after wandering through the Met’s numerous rooms. There is also a huge section on Southeast Asia and the Pacific, and I was thrilled to see Indonesian art represented amongst the many other pieces. There was a time when I dreamed of living in New York City, and while I now wonder if I am too much a farm girl to live in the big city, I still love the chance to pop in and say hello. This is something I am actually very bad at. Because I have rarely traveled without also living in a place (I studied abroad in London, and I now live in Indonesia), fleeting visits to unfamiliar countries and cities always feels very strange, and it has taken me some time to embrace that role and take advantages it presents. After my second grant in Indonesia, I will be attending Stony Brook University for Applied Linguistics, thereby living much closer to NYC than I ever have before. The other copy is in the National Art Gallery in London. I can now happily say that I have seen both copies now—check that off the bucket list. As part of my summer travels, I invariably had to make a stop in Ithaca, to visit professors and friends who still live in the area. 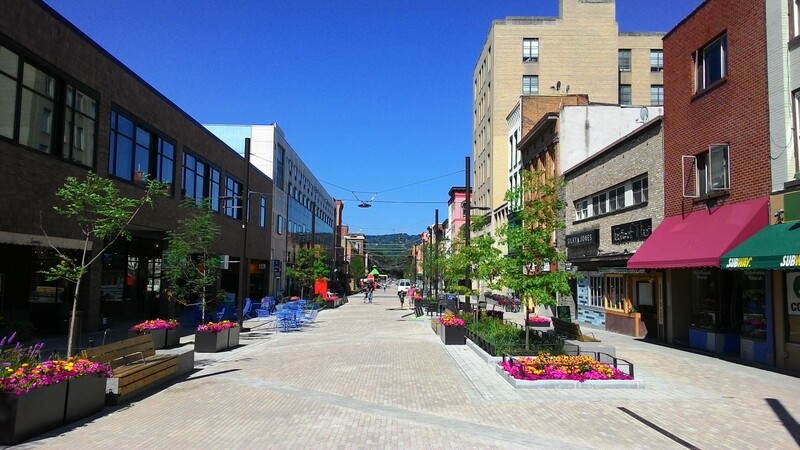 I don’t think of Ithaca as a place I “visit.” For four years, I spend a majority of my time living, learning, volunteering, working, and growing both within this small city and on IC’s campus on the edge of Ithaca City proper. Ithaca feels like a place I should not be visiting, but returning home to. And yet, this is what it has become. It has become a place where I notice change with part excitement, and part bitterness. (There are trees again in the Commons, but they are tiny, new trees, whom have yet to write their story on the Commons, not the drooping cherry trees I remember, which were chopped down for the new construction). It has become a place I think I know, but which is no longer quite the same (the stretch of restaurants remains, but many of the restaurants I knew and loved are gone now, replaced by new places which I’m sure are also wonderful, but which are not mine). And I am no longer the same person I was when I studied there. Just a year out of college, my relationship with everything that was everyday has changed. And yet, it is still Ithaca. Sparkling water still tumbles over the waterfalls I have hiked by many times, and the used bookstores are still overflowing with yellowed paperbacks to tempt away my paycheck. And there are so many memories, tucked around every corner. Ithaca will always be a part of my life, at least to some extent. A part of me will always be there, waiting for me with open arms and a scrutinizing eye, waiting to see how much I’ve changed, and willing to accept me even for whatever I have become. Summer Travels Volume II: Washington D.C. I was in D.C. twice within a two week period at the end of June and the beginning of July. I went first in order to participate in the Pre Departure Orientation (PDO) for the 2015-16 Indonesian Fulbright ETA Cohort, and after a brief visit to North Carolina, I returned with friends to celebrate Independence Day in the Capital. I’ve never had the opportunity to go to D.C., and so while I would have been excited for the PDO regardless of location, simply because I was thrilled to be meeting this year’s bunch of ETAs, I was unreasonably excited when I learned that we would also be in D.C. I’ve actually been in a number of capital cities around the world (Ottawa, Paris, Jakarta, Singapore) and even lived for a semester in one (London), but had never actually gone to the capital of my own country. It felt strange, to be honest, to be a tourist in my own capital. Throughout the entire summer, my visits to various places were defined by an essential peculiarity; after so much travel on the other side of the world, I expected America to feel inherently like home no matter where I found myself, which of course was not actually the case: America is just as varied as any other country, with distinct cultures wherever you go. The truth is, I do not intimately know much of America, and should not have been surprised at myself when I had to look up the location of the White House: just because I am American, it does not mean I am familiar with a city I have never been in. 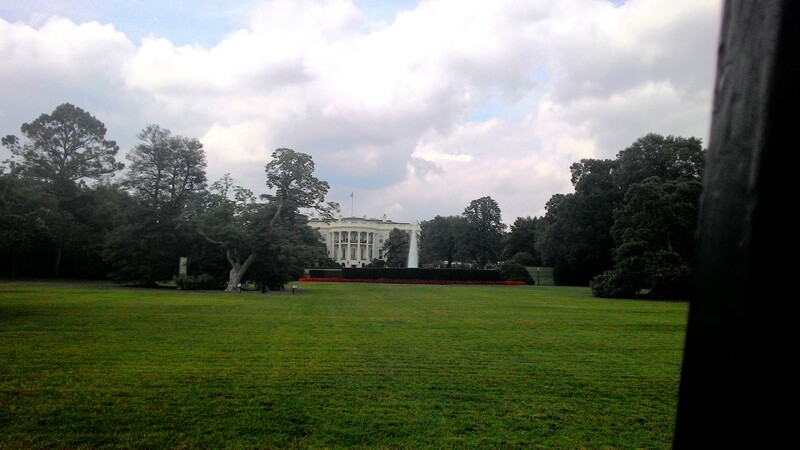 During the PDO, there wasn’t a whole lot of time for sightseeing, but I did take the opportunity to walk up and down the Mall one afternoon, and pop over to see the White House. Though I’m embarrassed to admit it, if there hadn’t been tourists outside of the gates, I might have missed the White House altogether. For my entire life, the White house has towered in my mind, a palace-sized, impressively white building that screams “AMERICA!” It turns out the White House is just a really big white house; I’ve seen much more impressive houses for people far less well know than the President. America is far from perfect, but it is ideas like these that make me proud of the place where I was born. The idea could potentially be problematic, and who’s to say the guard even believed what he was saying. But that this idea can be expressed and potentially believed is a reassuring thought, for me at least. The various memorials up and down the Mall were impressive and interesting (my personal favourite was the Lincoln Memorial, because as a child I was terribly unoriginal and Lincoln was my favorite of the U.S. Presidents), but perhaps the most memorable stop I made that day was to the Arlington Graveyard, and as part of that the Tomb of the Unknown Soldier. I won’t pretend to be any kind of history or politics expert, and so I make no sweeping claims over the value or lack thereof as regards to conflict and war, but walking through row upon row of headstones, all numbered on the back and placed in labeled lots so that it is easier to locate individuals who died too soon… it was sad, and humbling, and overall an experience I am not sure I have fully processed yet. 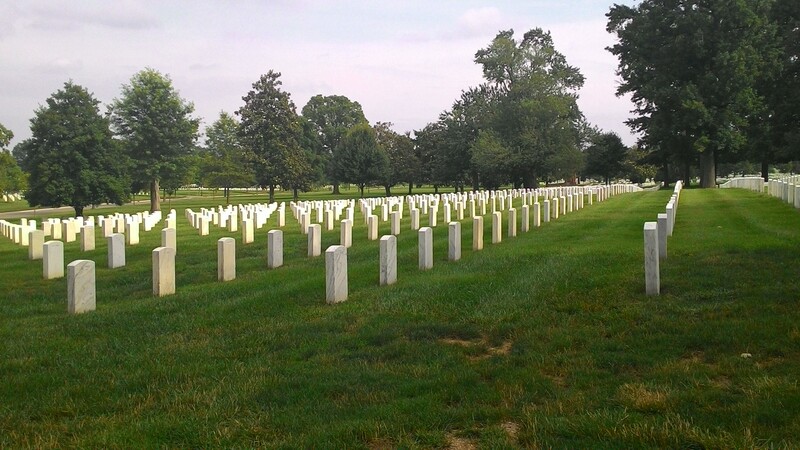 When I visited D.C. later with my friends, we forwent going from memorial to memorial, and instead spent our time in some of the various museums in D.C. While I do have some problems with museums and the ways they have been operated throughout history, I have always loved them nonetheless. While much of our time was spent in various art museums, we also explored the Museum of American History, where we were able to see the flag which inspired the national anthem, a very impressive flag indeed. While much of what we saw in the various art museums was part of the permanent collections, there were a few temporary exhibits which I really loved. In the National Gallery, there was an exhibit dedicated to Gustave Caillebotte entitled The Painter’s Eye, on display until October 4th, 2015. Caillebotte is an impressionist painter, and while impressionism is by far my favorite style of art (call me cliche if you will, but I will love it nonetheless), I had never heard of him; walking through the exhibit, I saw painting after painting which I recognized from art textbooks I have perused in my spare time, but had never known the artist. It was wonderful to have a name to out to some of my favorite paintings, and to be able to add him to my list of favorite artists. A pair of exhibits in the Freer Sackler Museum, The Peacock Room Comes to America and Peacock Room REMIX: Darren Waterson’s Filthy Lucre were absolutely fascinating. James McNeill Whistler’s Peacock Room defines extravagance and wealth in my mind, and Darren Waterson’s re-interpretation of its excess was somehow simultaneously terrifying and therapeutic. The Peacock Room will be on exhibit until January 3rd, 2016, and the REMIX will be on display until January 2nd, 2017. Perhaps my favorite exhibit was in the African American Art and History Museum: The Divine Comedy: Heaven, Purgatory and Hell Revisited by Contemporary African Artists. On display until November 1st 2016, this exhibit included a profusion of different pieces from various artists from all over Africa, some of which had been created specifically for this exhibition. The variety of interpretations of the different levels presented in Dante’s Divine Comedy gave me much to think about. Being in D.C. for Independence Day was fun and a little surreal. 4th of July celebrations in my small hometown are full of red, white, and blue patriotism, but they lack the flair which is invariably present in D.C. I loved the parade and the broad representation it had of American culture; after spending almost a year explaining to people who had never met an American before that not all Americans look like, talk like, act like me, seeing much of that being celebrated was refreshing and exciting. The fireworks at the end of the evening were the most impressive I’ve ever seen, and a wonderful end to my time in D.C. I headed down to Virginia for a family wedding barely a week after I had returned home from Indonesia. The wedding was beautiful–which I feel goes without saying, when two people who love each other have a day to celebrate that with family and friends–and I had a wonderful time hanging out with my mom, my brother, and my brother’s girlfriend. While in Cape Charles, we spent quite a bit of time by the water. Many of my family members in the area are fishermen (as in people that make their livings via fishing; I think the correct term might actually be watermen, but I confess I don’t actually know). 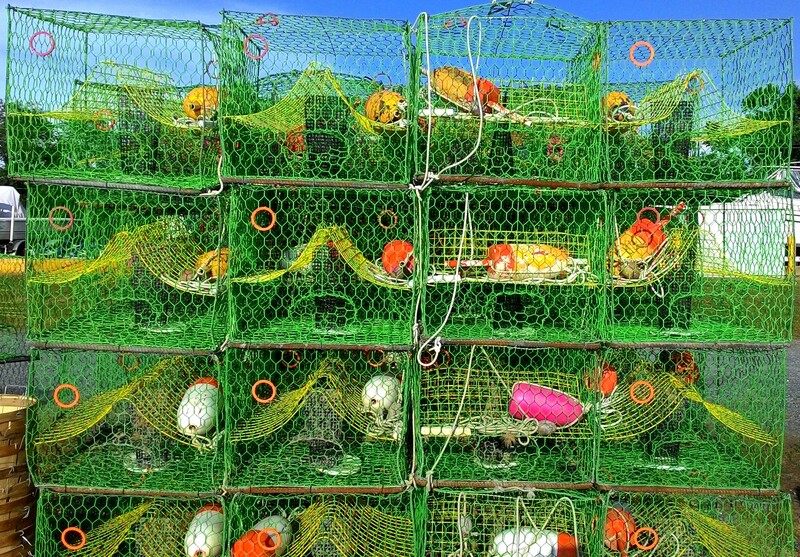 I loved seeing the crab pots piled up along the dock, the boats gently bobbing in the salty Atlantic waters. At first I was disappointed by the lack of color in the boats, after having spent so long in Southeast Asia with its rainbow of water vessels, but the nets and crab pots made up for the gleaming white sides of the fishing boats. I don’t know what it is about the sea that inspires humans to surround themselves with color, but it is something I have always appreciated. Virginia is a state rich with history, and I have many memories from my childhood of visiting places like Jamestown and Williamsburg. 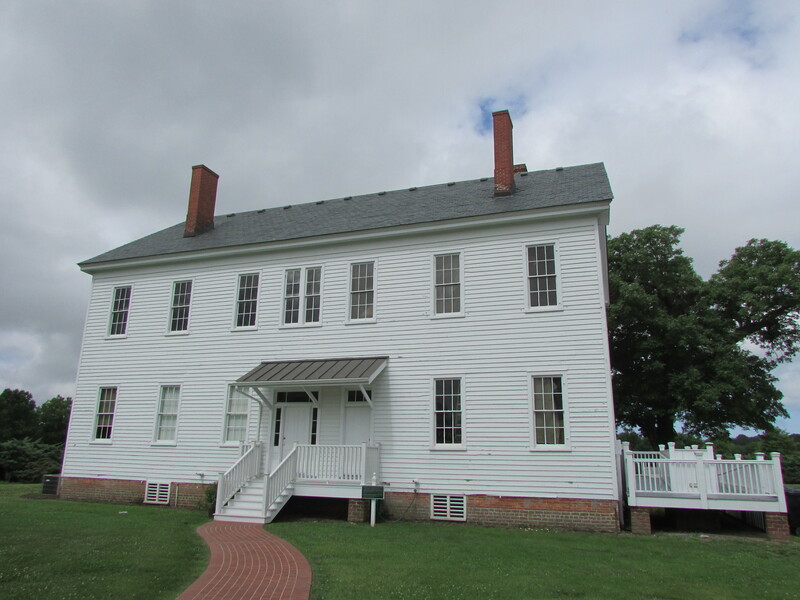 Even though we were only there for a very fleeting visit this time, my mother and I did pop over to the Barrier Islands Center and Almshouse Farm. The Almshouse took in “inmates,” who for various reasons were down on their luck and homeless from 1804 to 1952. There are three main buildings on the ground: the large farmhouse (built in the 1890s after the original burned to the ground); an outdoor kitchen which, if I remember correctly, is still the original building from the early 1700s, when it was still just a family farm; and a smaller building in the back, built in 1910, which housed African-American “inmates.” The main farmhouse has been preserved much as it was (the African-American section has been converted to offices and event space, which I feel says something about how we treat African-American history as a whole), and contains various artifacts from the people who lived there: clothing, photos, letters… you name it, it is there. Parts of the farmhouse have also been set aside for artifacts which give insights into life in the greater barrier island area, both from the past and today. The center is run by a few lovely people, truly dedicated to local history, and is completely free. Tiny historical sites like this one are some of my favorite places, and I highly recommend checking this one out if ever in the area. Due to college and working and running off to other countries, it’s been a long time since I’ve had a chance to visit the Cape Charles area. I had almost forgotten how rich and wonderful a place it is, and I am so thankful I had to the opportunity to be reminded this summer. Fun fact, the Atlantic Ocean is actually saltier than the Pacific Ocean. I’ve always associated the ocean with being overwhelmingly salty, and I did not feel this way in Indonesia, and could never quite determine why. Turns out, it simply literally has less salt in it.